American naturalist, born in Reading, Pennsylvania, on the 3rd of February 1823. He graduated at Dickinson College, Carlisle, Pennsylvania in 1840, and next year made an ornithological excursion through the mountains of Pennsylvania, walking, says one of his biographers, 400 miles in twenty-one days, and the last day 60 miles. In 1838 he met John James Audubon, and from that point his studies were largely ornithological, Audubon giving him a part of his own collection of birds. After studying medicine for a time, Baird became professor of natural history in Dickinson College in 1845, assuming also the duties of the chair of chemistry, and giving instruction in physiology and mathematics. This variety of duties in a small college tended to give him that breadth of scientific interest which characterized him through life, and made him perhaps the most representative general man of science in America. For the long period between 1850 and 1878 he was assistant-secretary of the Smithsonian Institution, Washington, and on the death of Joseph Henry he became secretary. 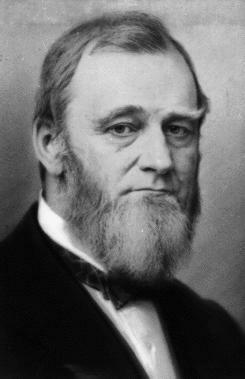 From 1871 until his death he was U.S. Commissioner of Fish and Fisheries. While an officer of the Smithsonian, Baird's duties included the superintendence of the labor of workers in widely different lines. Thus, apart from his assistance to others, his own studies and published writings cover a broad range: iconography, geology, mineralogy, botany, anthropology, general zoology, and, in particular, ornithology; while for a series of years he edited an annual volume summarizing progress in all scientific lines of investigation. He gave general superintendence, between 1850 and 1860, to several government expeditions for scientific exploration of the western territories of the United States, preparing for them a manual of Instructions to Collectors. Of his own publications, the bibliography by G. Brown Goode, from 1843 to the close of 1882, includes 1063 entries, of which 775 were short articles in his Annual Record. His most important volumes, on the whole, were Birds, in the series of reports of explorations and surveys for a railway route from the Mississippi river to the Pacific ocean (1858), of which Dr. Elliott Coues says (as quoted in the Popular Science Monthly, XXXIII, 553) that it "exerted an influence perhaps stronger and more widely felt than that of any of its predecessors, Audubon's and Wilson's not excepted, and marked an epoch in the history of American ornithology"; Mammals of North America: Descriptions based on Collections in the Smithsonian Institution (Philadelphia, 1859); and the monumental work (with Thomas Mayo Brewer and Robert Ridgway) History of North American Birds (Boston, 1875-84; "Land Birds", 3 vols., "Water Birds", 2 vols). He died on the 19th of August 1887 at the great marine biological laboratory at Woods Hole, Massachusetts, an institution which was largely the result of his own efforts, and which has exercised a wide effect upon both scientific and economic ichthyology.